Every day, your skin fights dust, pollution, UV rays, and environmental damage. Hence, it needs special care. Soap and soap-based cleansers can rob your skin of natural oils and moisture. 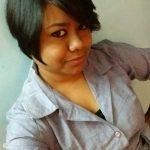 So, you need something mild and gentle to pamper it. 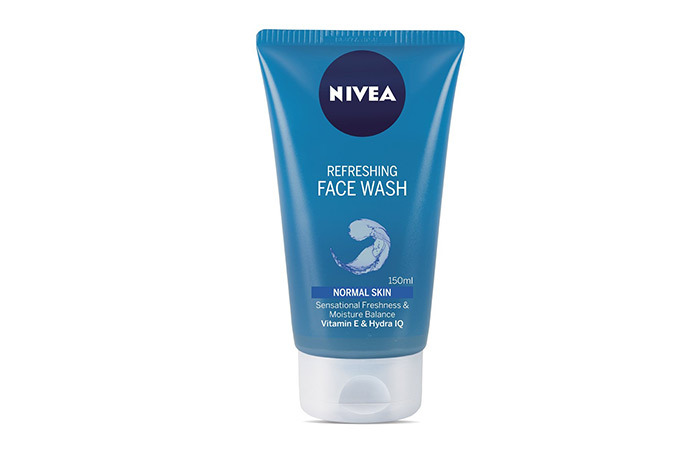 And what could be as gentle as Nivea face wash? This brand is popular for skin care products that suit every skin type. 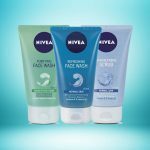 Nivea has a whole range of face washes in the market, and I have listed the best Nivea face washes in this article. Check them out! 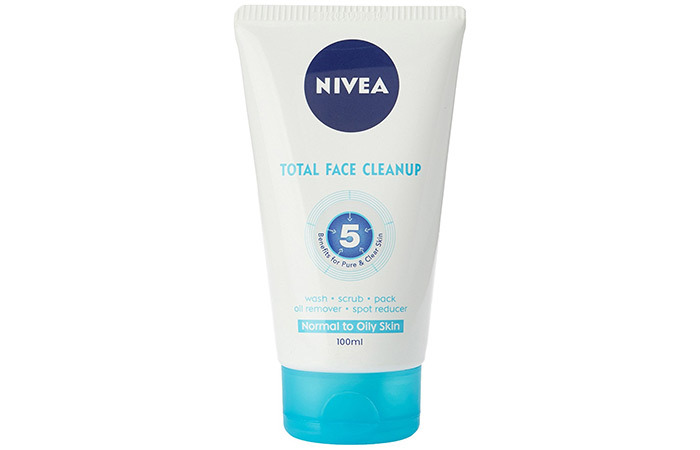 This Nivea 5-in-1 face wash promises a thorough and total cleanup. It contains magnolia extracts and offers multiple benefits. You can use it as a face wash, a face pack, or a scrub (all instructions mentioned on the tube). It is soft and gentle on the skin and has peeling particles that remove blackheads and unclog pores. This claims to be a deep cleansing and moisturizing face wash. It contains ocean algae that revitalize your skin. It contains microbeads that scrub your skin, clearing blackheads. It thoroughly removes excess sebum without affecting the moisture balance of your skin. 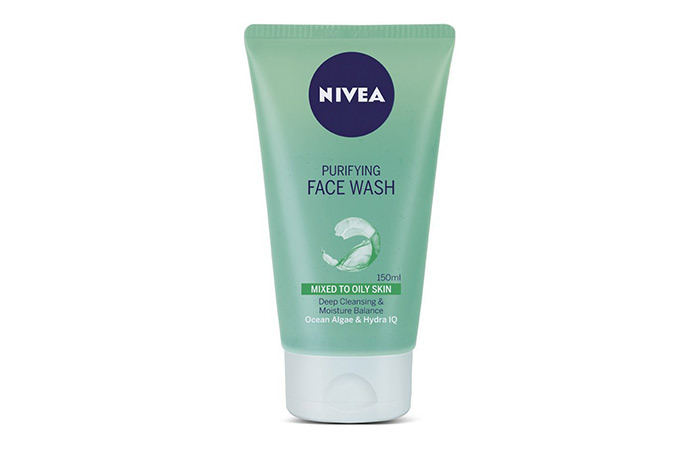 Developed with Hydra IQ moisture technology, this Nivea face wash doesn’t upset the natural moisture balance of your skin and keeps it hydrated throughout the day. It contains vitamin E that keeps your skin soft and supple. 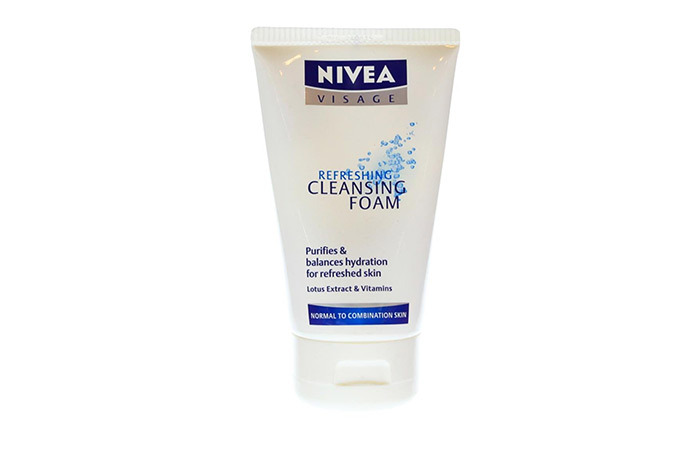 This Nivea foaming face wash is meant for normal to combination skin types. It has a hydro balance system that gently removes all impurities and dirt from your face and keeps it hydrated. 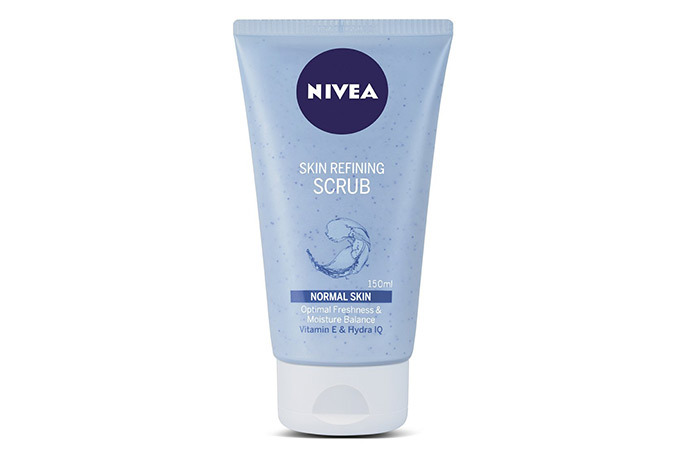 It contains lotus extracts along with vitamins B5 and E.
This is an extremely mild scrub (more like a face wash containing microbeads) that is enriched with Hydra IQ and Vitamin E. Nivea scrub face wash not just exfoliates your face thoroughly and removes all dead skin cells, but it also hydrates the skin and evens out your complexion. Washing your face is an essential step in your skin care regimen. And using a good face wash is an obligatory ritual. 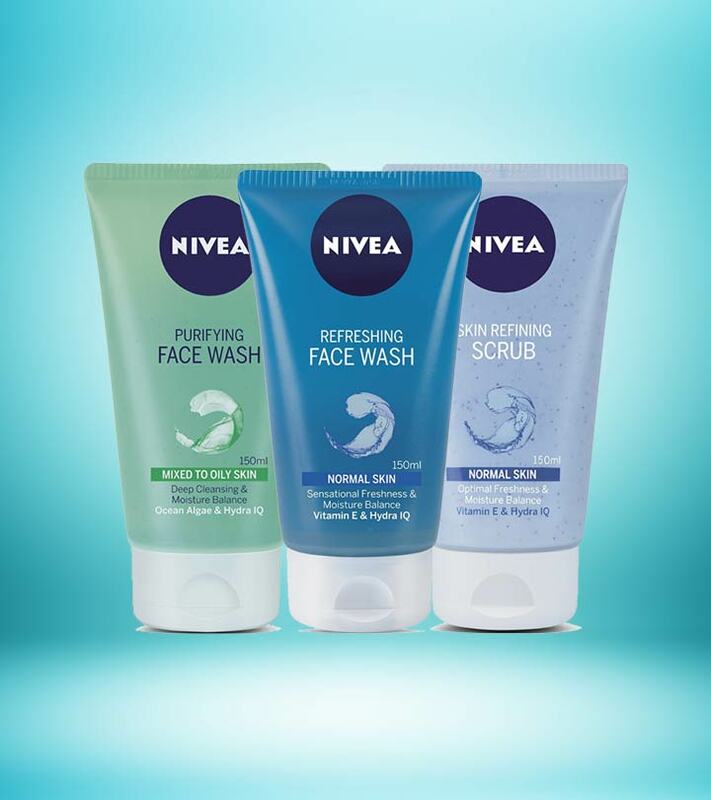 If products that pamper your skin like a baby pique your interest, consider buying any of the Nivea face washes mentioned above. Have any suggestions? Or do you think I missed any product? Then, drop a comment in the comments section below.